The new set of Abia el­ders stated this in a nine-point communique, issued after an emergency meet­ing in Umuahia, Abia State capital. Led by the traditional Prime Minister of Ibeku­land, Chief Uche Akwuk­wuegbu, those who attend­ed include traditional prime ministers from other parts of the state, titled chiefs, com­munity leaders and village heads of all the autonomous communities across Abia. They stated that they had extensively and exhaustively analysed the political situ­ation in Abia and frowned at the negative reaction of some reactionary forces who went to Abuja to con­demn the judgment of the court. They dismissed the Sena­tor Adolphus Wabara-led Abia Concerned Elders, “who went to Abuja against the will of the people of Abia, saying they are yet to queue behind the Presi­dent Muhammadu Buhari Change mantra. “This forum would not have responded to them if not for the falsehood, distor­tion of facts and misleading effect it would have on the people. 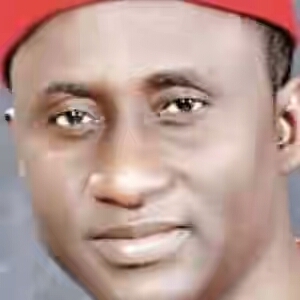 They stated that the true position of things in Abia is that all Abians, male and female, young and old, ir­respective of clan, religion and political group are yearning for Dr Uchechuk­wu Sampson Ogah as their governor, hence, the hi­larious and wild celebration that was witnessed in streets and villages when his victory was announced. Also, Mr Monday Ubani, a lawyer has said Ogah’s vic­tory is valid, not an ambush and that he should be sworn in immediately without de­lay as pronounced by the court. Ubani told newsmen yesterday in a press confer­ence in Lagos. He said the matter was instituted two years ago but because the team of Mr. Okezie Ikpeazu explored all forms of legal technicalities to delay the case, it lingered till 2016. Also yesterday, Abia In­terest Group called for the immediate sack of Chief Lawrence Nwuruku, Inde­pendent National Electoral Commission (INEC) com­missioner for the South East over what it described as his role in the current crisis sur­rounding the governorship seat of the state. Nwuruku was the INEC commissioner who present­ed a Certificate of Return to Ogah, based on the ruling of a Federal High Court which declared him the authentic candidate of the Peoples Democratic Party (PDP) for Abia, instead of Dr. Okezie Ikpeazu, in the 2014 gover­norship priamry in the state.